WheelTurnerHawaii.com: H.W.O.S Event 3 THE SCORCHER 4. TOMORROW. 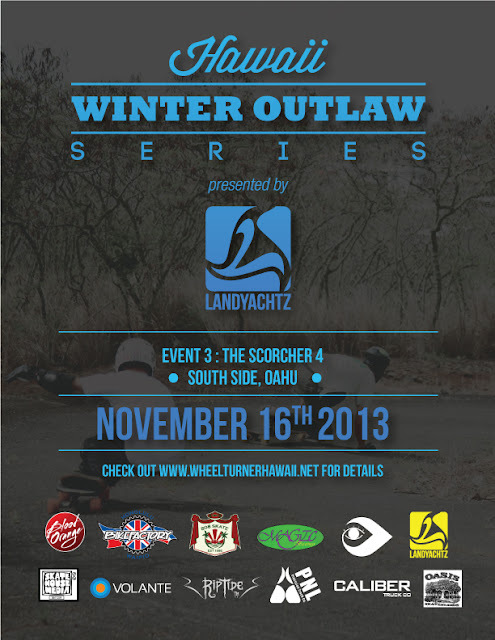 TOMORROW x HawaiiWinterOutlawSeries Event 3 x The Scorcher 4. Be sure to check back for updates, photos and results! Who will take it home? Event: The Scorcher from SkateHouseMedia.com on Vimeo.